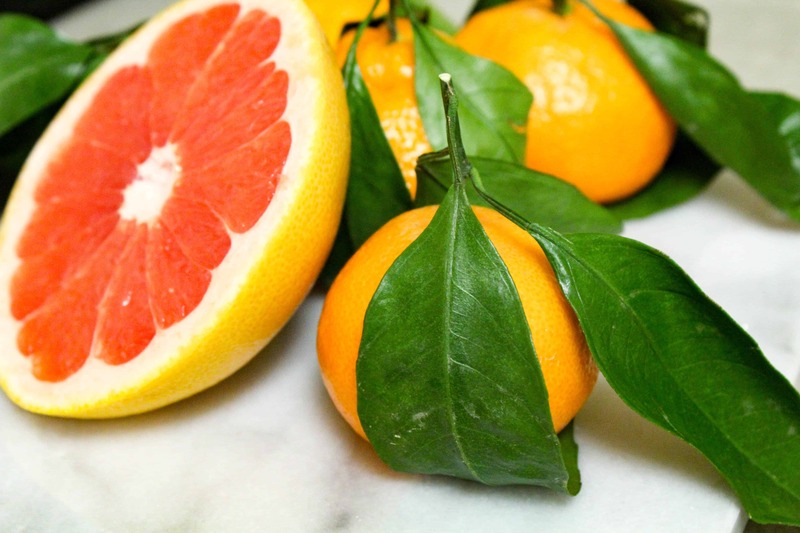 I was in the mood for something festive for the New Year and set my heart on this season’s brightest citrus fruits – grapefruit and satsuma orange. This salad is sweet, tart, flavorful, and a breeze to put together. 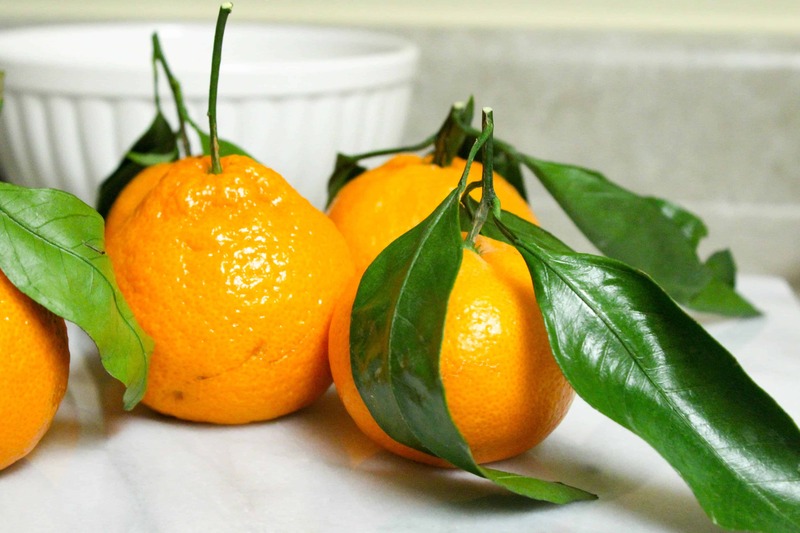 Over the weekend I found myself on a mission to make something beautiful with these satsuma oranges that I found at Whole Foods on New Year’s Day. With their green leaves still attached, I couldn’t pass them up. My satsumas served as a seasonal dining room centerpiece as soon as I got home from the store, but that didn’t last long. They’re even better for eating. 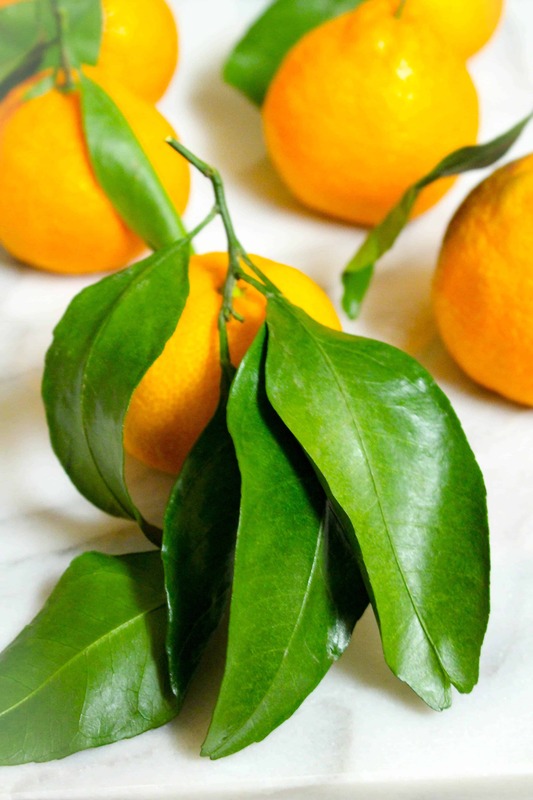 Satsuma oranges have a sweet flavor and a soft skin that’s easy to peel, making them perfect for a healthy on-the-go snack with fiber and healthy carbohydrates. 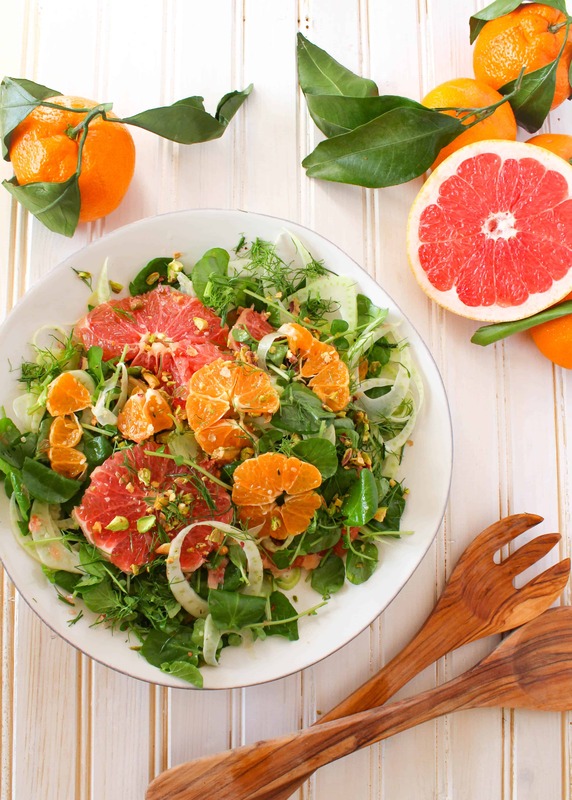 I combined one of my satsuma oranges with tart grapefruit to create a winter salad that’s every bit as colorful, light, and refreshing as it’s summer counterpart. It’s also packed with vitamin C (an essential vitamin and antioxidant that’s super important for supporting the immune system,) fiber, and healthy fats. This salad is intended to be more of a side than an entree but you could easily add white beans, tofu, wild-caught salmon, or more pistachios/hemp seeds (or your favorite source of protein) to make this recipe more more filling and substantial. I had this with some homemade cinnamon rolls for a cozy Saturday morning brunch but it would also work nicely with lunch or dinner. 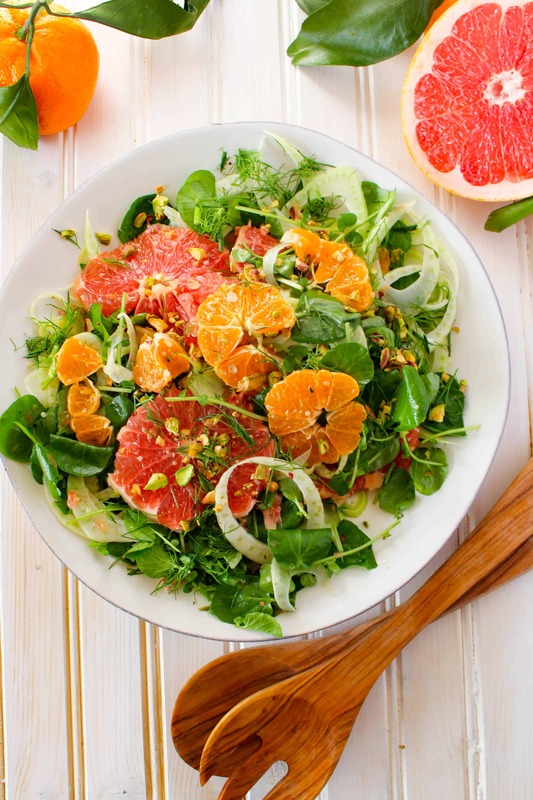 Grapefruit and satsuma orange are tossed with watercress, fennel, pistachios, and a maple hemp seed vinaigrette. Serve with brunch, lunch, or dinner. 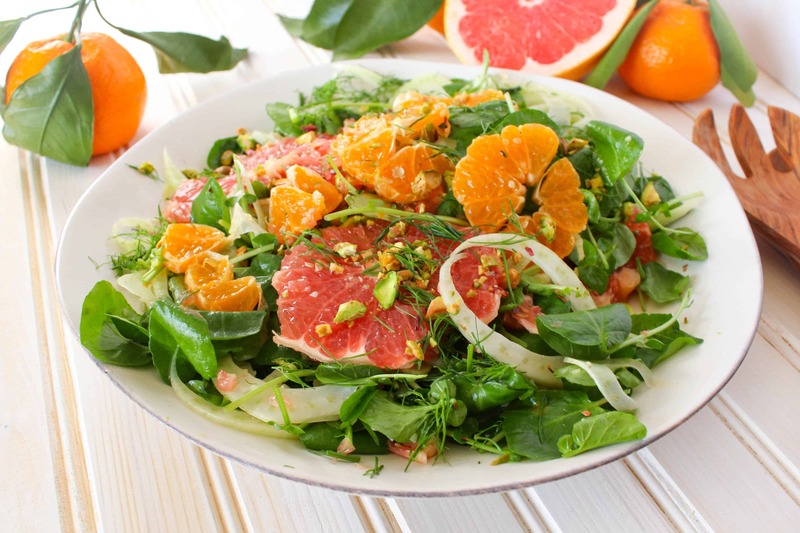 Combine watercress, grapefruit, orange, and fennel in a large mixing bowl. Whisk together olive oil, vinegar, hemp, and maple and toss with salad. Transfer to serving dish and top with fennel fronds and pistachios. It looks beautiful! I love the combination of the grapefruit as well as satsuma with the fennel. It must be really fresh tasting! 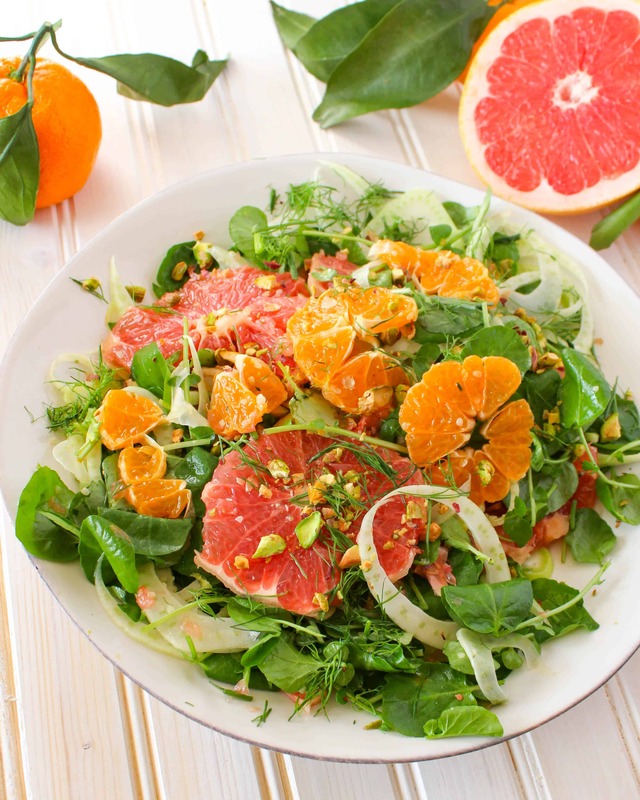 I just love how refreshing winter citrus is and I love watercress! Always a forgotten green! Yes! Watercress totally needs to be celebrated! ?? Thanks Rebecca! Wow, such a beautiful and vibrant salad! Your photos are gorgeous- they make me want to dive right in! I’ve never had satsuma oranges but they look lovely. Thanks so much, Sonali! I’m playing with my new camera a lot. 🙂 And you totally need to try satsumas…so yummy. Gorgeous salad! And, aren’t Satsuma’s the absolute best? “-) Can’t wait to make this! Thanks EA! They are THE BEST! 🙂 Let me know how you like the salad once you try it! 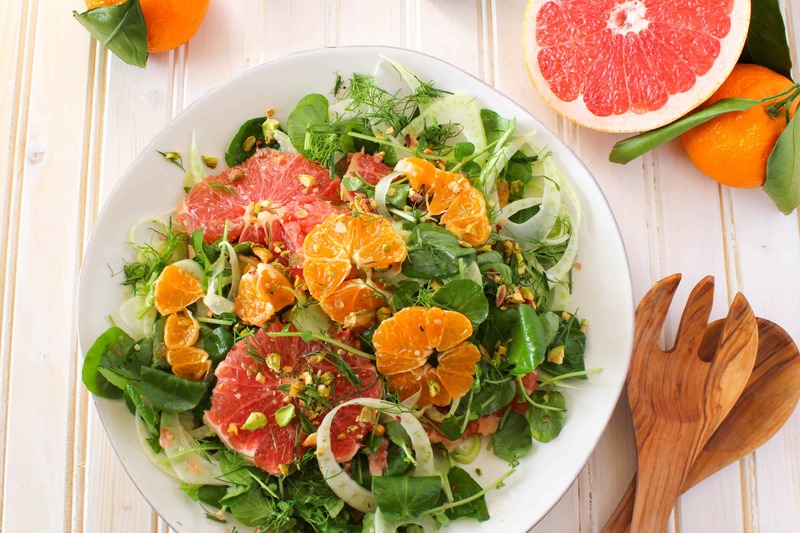 I LOVE the combo of citrus fruits and fennel. The addition of the pistachios is fab and I would probably add some crumbled goat cheese to make it a full on lunch salad. Fabulous pics too!